Haywards Heath-based BC Ceramics has acquired six of the 11 Capitol Tiles stores, which along with the company’s distribution business, fell into administration on 8 November following “insurmountable financial difficulties”. As reported by Tilezine on 13 November, the wholesale and distribution side of the business, comprising the bulk of the company, has been acquired by Mo Iqbal, chairman of Tile Mountain Ltd. The administrator, Begbies Trainer, has also announced that six of the company’s 11 retail outlets have now been bought by BC Ceramics, thereby taking them out of administration. 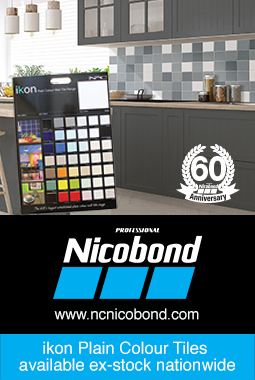 According to media reports, the stores which have been acquired by BC Ceramics are: Nuneaton; Foleshill Road, Coventry; Northampton; CDS Tiles in Fulham; Stratford Road, Birmingham; and Crawley. BC Ceramics currently trades from Haywards Heath, St Albans and Gillingham. Begbies Traynor says that the combined effect of the deals with Mo Iqbal and BC Ceramics has been that 80 jobs have been saved. Efforts to find a buyer for the business’ remaining retail outlets are ongoing, say the administrators. « Previous post « ONE MORE MONTH TO SUBMIT YOUR TTA AWARD ENTRIES!